Discussion of exotic animals in general and Phoenix Exotic Wildlife Association specifically. 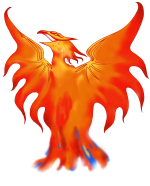 Phoenix is based in the USA and addresses concerns within the USA and internationally. It is incorporated in Washington state as a non-profit corporation dedicated to the legal and ethical ownership of exotic animals by private persons with an emphasis on education and safety. Visitors and non-owners are welcome.